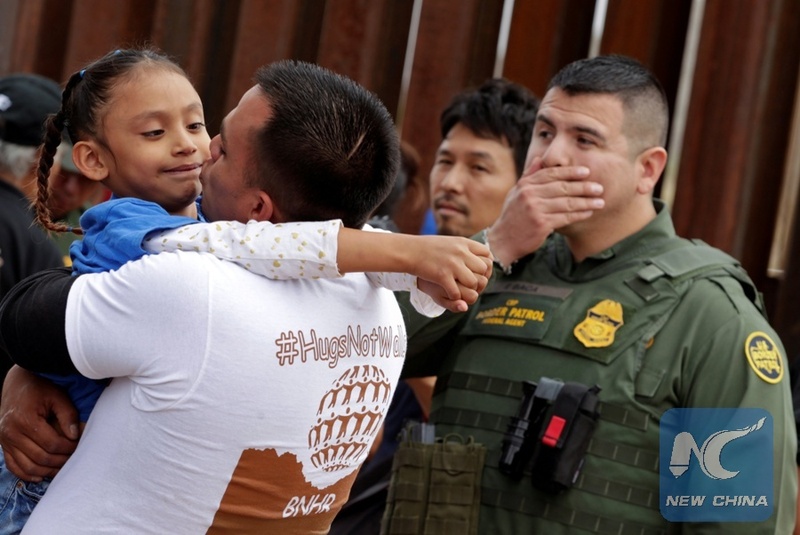 WASHINGTON, Jan. 17 (Xinhua) -- Thousands more migrant children were likely separated from their parents and guardians at the U.S.-Mexico border than was previously known, according to a report released Thursday by the inspector general of the Department of Health and Human Services (HHS). The government report did not specify the exact number of the children separated or explain why these children were taken from their families, but noted that these children were "often very young" and suffered from a shortage of beds. The federal government previously reported that 2,737 children were forcibly separated from their parents entering the Untied States illegally last year under President Donald Trump's "zero-tolerance" policy that required all migrants to be criminally prosecuted after crossing the border. The new report found a hike in immigrant family separations long before the "zero tolerance" policy that prosecuted immigrant parents who crossed the border illegally while holding their children separately in HHS custody. In the summer of 2017, the Office of Refugee Resettlement, which runs the government shelters for unaccompanied migrant children, already reported a "steep increase" in the number of separated children. The Department of Homeland Security told the Insider website in a statement that the report "vindicated" their claims that family separations have long been the norm in certain circumstances, though the agency also said it doubted the inspector general's office's "credibility."